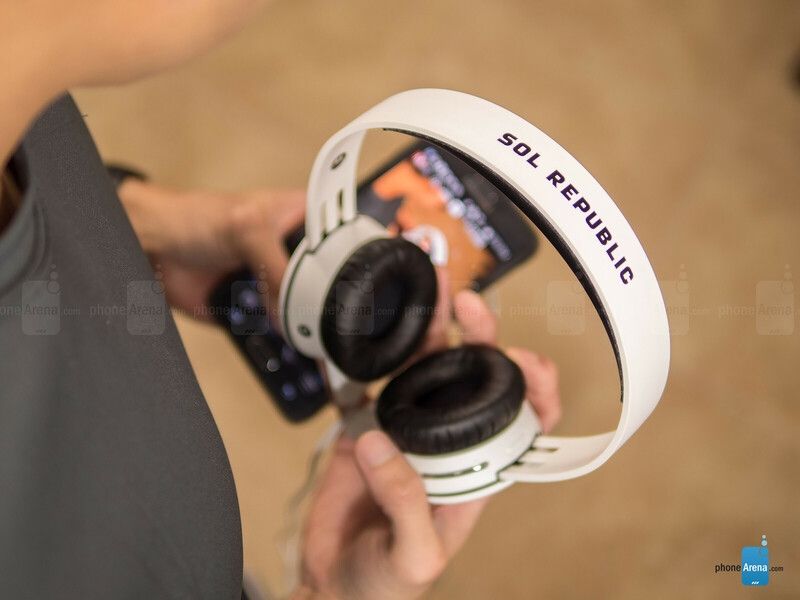 Established back in 2010, global consumer electronics company SOL Republic might seem like a new player in the portable audio space, but don’t think for a moment that they lack experience – that’s because a couple of the company founders had ties to Beats Audio and Monster previously. 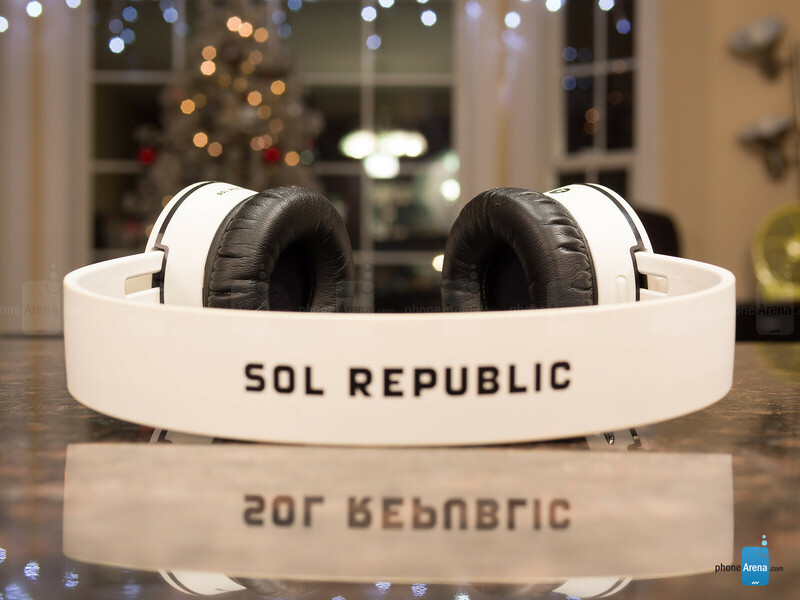 In its quest to become a formidable contender, its wireless Bluetooth solution in the SOL Republic Tracks Air is looking to win the hearts and minds of the young, hip, and open-minded crowd. Flaunting a modular design, one that’s undoubtedly rare in the headphones space, the Tracks Air is already making itself a distinctive pair of headphones. Thanks to its modular design, the Tracks Air offer a little bit of personalization we normally don’t see. 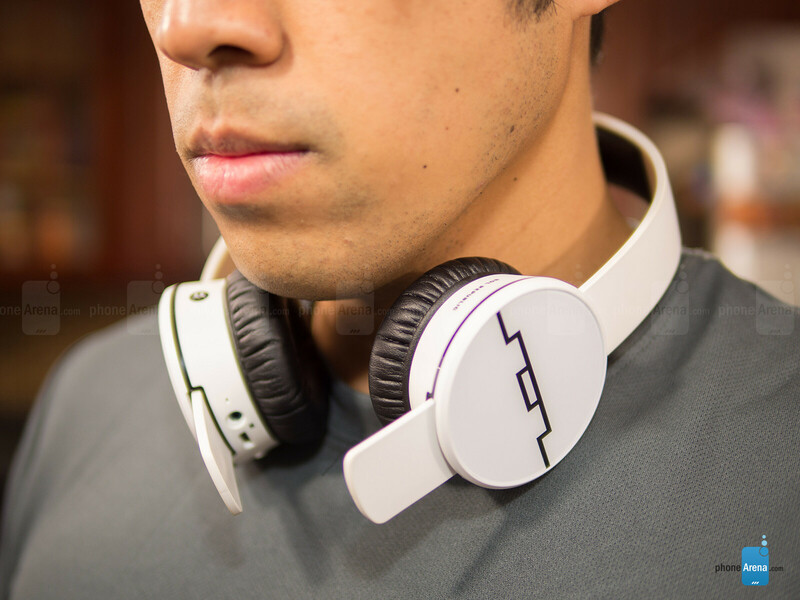 There’s no denying it one bit, the SOL Republic Tracks Air has a distinct design that makes it unique in the space. Quite frankly, there’s a strong focus on style and minimalism with its design – one that culminates in a pair of attractive looking headphones with a modernist touch. At the core of it all, it’s the modular design of the Tracks Air that distinguishes it from all other style-centric models out in the space at the moment. 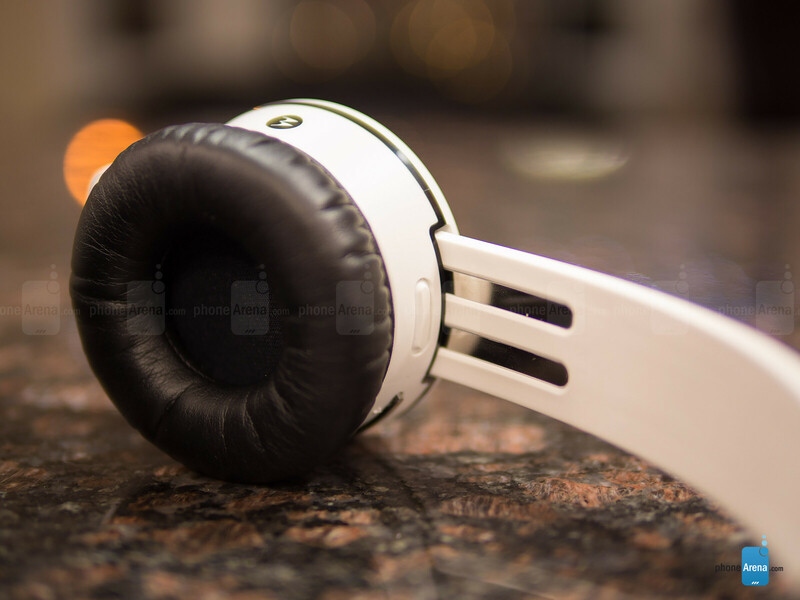 Essentially, the headphones are comprised out of a flexible plastic PowerTrack headband and two ear cups that slip over these metal strips on each side of the headband. Available in four colors, ice white, gunmetal, electro blue, and vivid red, it’s neat that the headbands are interchangeable to give us a subtle level of personalization. With the colored options, they’re vibrant and flashy in tone to really stand out in a crowd. 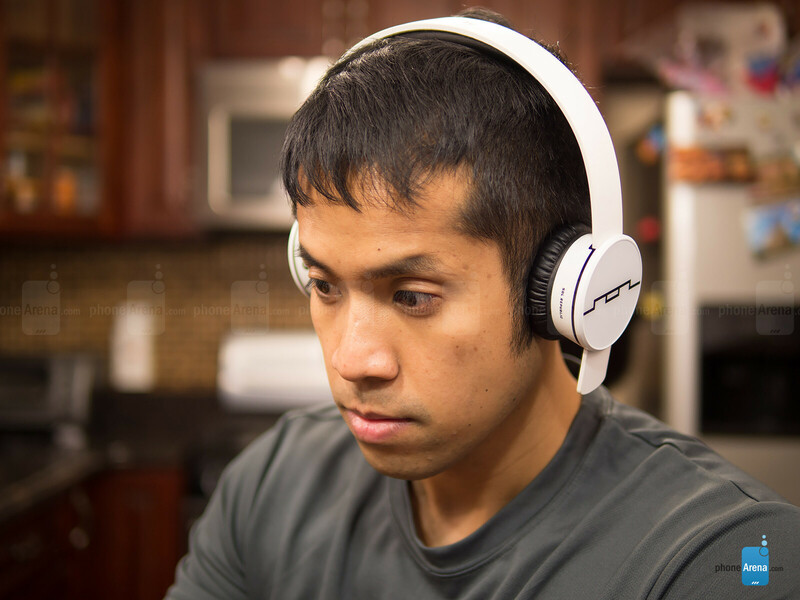 Our particular review unit, the ice white model, its headband sports a matte finish, which has a nice contrast to the black accented color of the padding on the inside of the headband and around each ear cup. Indeed, its modern and minimalism design carries a profound touch to make it one of the more stylish looking headphones. Even though the headband is flexible, it manages to retain a snug fit around our head – allowing for a tight fit that never feels loose, even with physical activities. Therefore, it’s usable for activities such a jogging or kickboxing. However, with prolonged usage, it becomes uncomfortable to wear, as the padding around the ear cups make it feel constricting. After a while, though, our ears feel a bit tender. Of course, this wouldn’t be a problem if it were an over-the-ear style – instead of the on-the-ear style it’s employing. 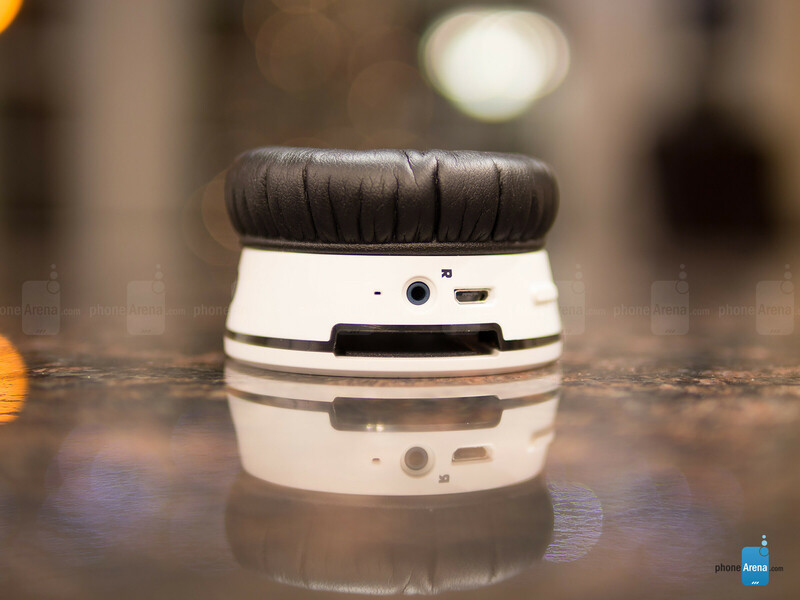 The right ear cup is the main unit, which seems to house all of the components that are necessary to bring the Tracks Air to life. Around the outside, we have its microUSB port for charging, various microphones, LED light, volume control, and multi-function button. With the latter, we can press it once to perform a pause/play or pickup/end function, while double and triple pressing on it performs track reverse and forward functions. For some reason, the volume controls have a stiff feel to them. Okay, so we really like the modular design of the Tracks Air, but our biggest complaint is how the sound engine speakers need to be placed high enough on the PowerTrack headband – giving little room for those who have “above-average” sized heads. This is necessary so that the speakers make contact with the metal strips, allowing the right sound engine speaker to communicate with the left one. Honestly, this could be addressed by merely extending the metal strips farther down the band. At the same time, we find it strange that the 3.5mm cable has separate left and right connections – you’d think that one would only be required, seeing that the metal strips could be used to transmit audio as well. Guess not. I have a pair of wired SOL Republic headphones and after using them for about 40 minutes it becomes incredibly uncomfortable. Even on a large setting they squeeze my ear to my glasses tightly. The sound is fairly good. But I don't think I'd buy them again. I have the SOL Republic Calvin Harris Sig Ed and I will totally agree with you! Sound great, but you can't wear them long enough to sit through a whole movie that's for sure! These are already on my wishlist. I already own a pair of Tracks HD (TKDK edition), Master Tracks XC (Calvn Harris edition), and the Deck (plus various headbands). Next up are the Tracks Air to have a pair of BT headphones. Not a good review for headphones. We need to know more like frequency range, sensitivity etc. Amd since its a bluetooth headset does it support aptx? That said. Im glad you guys are doing reviews on headphones. I enjoy bluetooth headphones myself as i sold the mdr-1a and bought de mdr-750bn. I bought the 1a because of the high res audio and its incredible but its difficult to use them during training as the wires are always in the way. The zx750 are really good not as good as the 1a but very good and comfortable in sound and wearing. Tried Sol's at work. V8s and v10s. And all I can say is that their very average. Build quality is good, but the sound quality is so so. Sony mdr-610 is a lot better where sound is concerned.